Who is your favorite Disney villain of all time? If you picked the “big bad” from 101 Dalmations, you’re going to love this Cruella Deville meringue recipe. This is such a fun dessert to make with the kids! Who doesn’t love a treat inspired by one of their favorite movies? If you aren’t a fan of Ms. Deville, you can always switch the colors and turn this into a seasonal treat. Red and green would make it perfect for Christmas, for example. 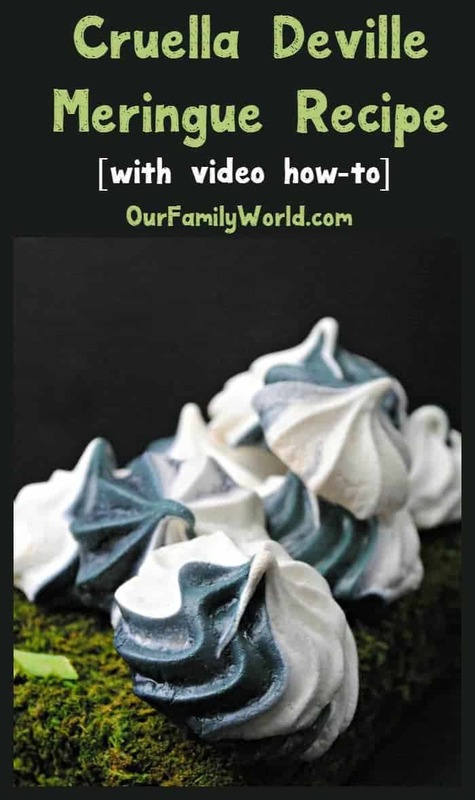 Check out the video how-to, then read on for how to make this fun dessert. Don’t miss the printable recipe card! In a standing mixer , add in the egg whites and cream of tarter. Mix on medium speed until soft peaks form and then increase to faster speed. Alternating between the sugar and powder sugar, add in 1 Tablespoon at a time until stiff peaks form. Add in the vanilla and mix until combined. Split batter into two bowls, Add the black die into one. Using a pastry bag with a star tip, scope some black meringue on one side and then the white meringue on the other. Pipe on the meringues onto a baking sheet lined with parchment paper. In a standing mixer, add in the egg whites and cream of tarter. Making movie-themed food is so much fun, don’t you think? I love to put the movie on in the background and chat with my son about the themes while we bond over the mixing and stirring. Check out a few more of my favorites from our recipe collection! This Moana Fruit Punch Virgin Drink Recipe for Kids is perfect for your New Year’s Eve party! Even the adults will love it! Need a quick yet fun lunch idea? 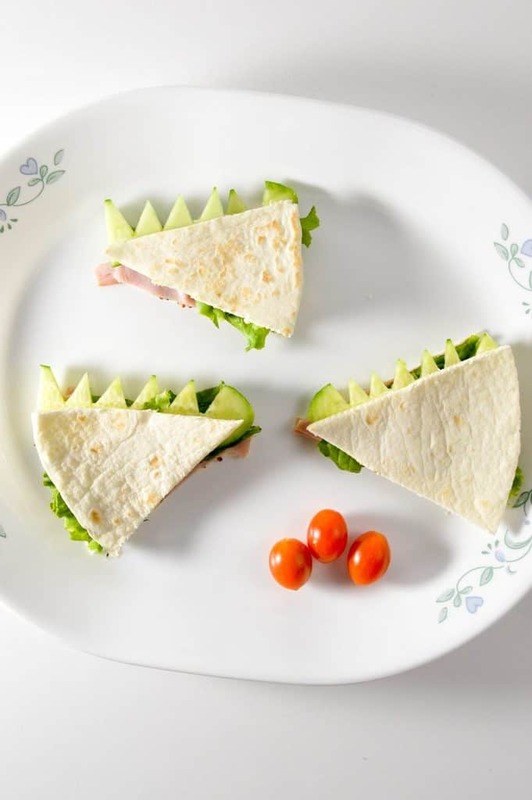 Our Dragon Tail Flat-Bread Sandwiches Inspired by Pete’s Dragon will encourage kids to try new veggies! 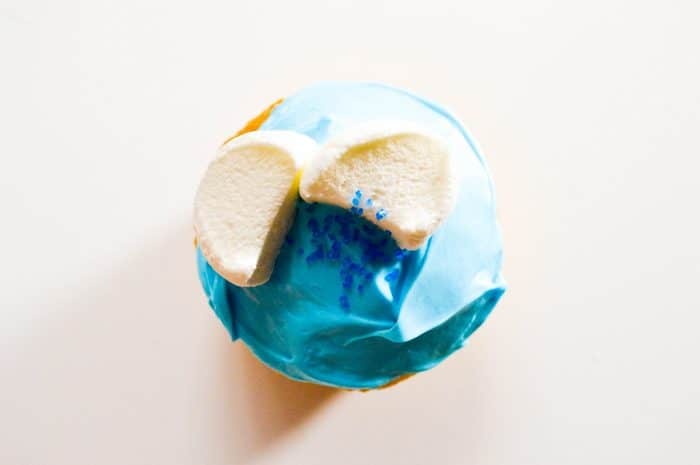 How cute are these Ice-Age Inspired Glacial Cupcakes? They’re so easy to make, too! 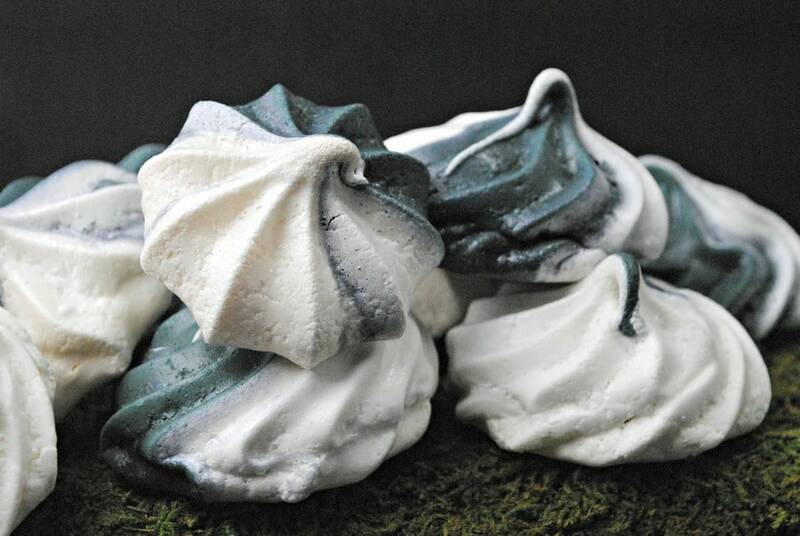 Let us know how your Cruella Deville meringue turns out! Do you have any other favorite treats inspired by movies? Share in the comments! I love the Moana Punch drink it looks super delicious yumm! Them Cruella Deville Meringues look nice too. These look great! I wish I had made these when we used to be able to eat eggs. I make a vegan merengue, love the color combo. Those are so cool! My daughter had a 101 Dalmations party last year. Might have to redo it. These are perfect. Interesting color combination fora dessert. It’d be great for themed celebrations too! The name Cruella Deville Meringue itself is pretty new & unique for me, but the recipe looks absolutely delicious. With holiday season around I would love to give it a try and my kids are going to love it so much! I have been wanting to do a themed movie night weekly. Time to start. These are fun! Yep, making movie themed food is fun. You’ve done a great job here.